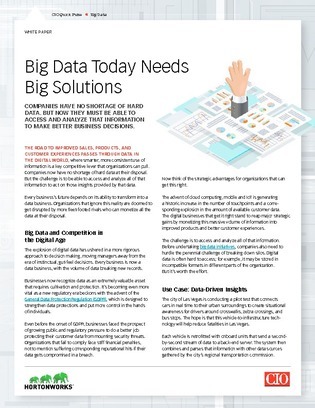 Companies today have no shortage of data. The challenge then becomes accessing and analyzing all of that information to reap real value. But before undertaking big data initiatives, companies also need to hurdle the perennial challenge of breaking down silos and ensuring they are in compliance with the looming GDPR regulations. This white paper explores how organizations can best understand their data while staying compliant, IDG survey results on how organizations are managing their data and 2 case studies.